Our principal interest in herbs is their extraordinary healing properties due to our extensive use of them in our clinic. There are thousands of plants that can be used to treat many ailments, as well as trees from all over the world which provide medicine and food. Flowers can be made into essences which can help you balance your emotions. Some plants are used for decoration only, yet help cleanse our air. I believe all we need for our medicine and wellbeing is around us. On our property I use several different plants which are classified as "weeds". 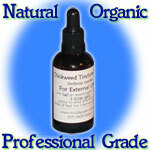 I use these "weeds" in salads, stir frys, teas, make herbal tinctures for medicine and dry the herbs for medicinal use. Plants detox the air we breathe and it is great to have indoor plants inside your living space to help clean the air and give your home a wonderful feel. 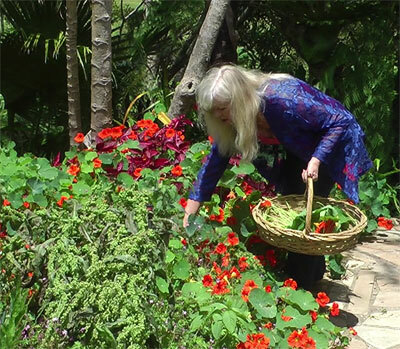 I believe they have a life and world of their own and the life force within each plant is a special gift that we are blessed to experience whilst watching them grow and respond to love and kindness. Like us: feed them right, give them water and love, place them in the right environment and they respond wonderfully. 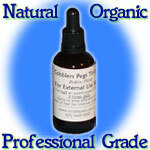 The use of herbs as medicines is a lot older than recorded human history. The use of herbs to treat disease is almost universal among non-industrialized societies, and is often more affordable than purchasing expensive modern pharmaceuticals. 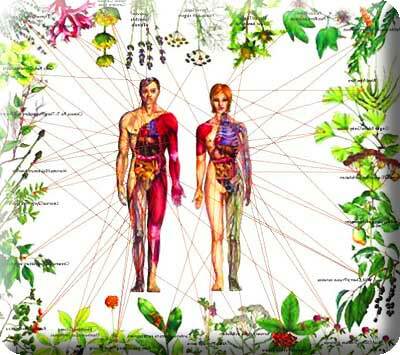 As the exponentially rising health problems debilitate industrialized populations around the world healing herbs are becoming more and more important to maintaining individual health and vitality and are now a necessary feature of any preventive health regime. Not everyone has confidence in being able to locate and identify individual herbs so dried herbs, which can be used for making teas, are becoming increasingly important for maintaining health. We have installed a dehydrating kiln and are drying plant material to ensure we have a round-the-year supply of these divine healers. 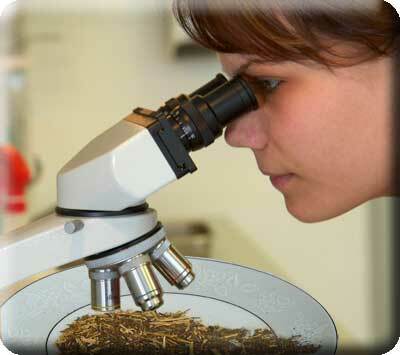 You can see how we process plant material for our dried herbal teas and tinctures here. Contra-indications: Some herbs are not suitable for certain situations - we have identified these on the individual plant pages as contraindications. 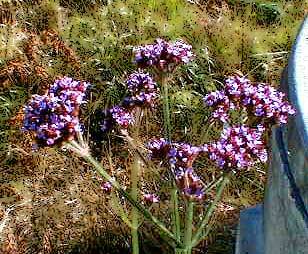 To discover the uses of a particular herb - visit the herb page which you can access on the list of plants. However some herbs are not edible, some are potentially toxic if not prepared properly, some taste quite vile and in some cases you want the healing action to work on your surface (skin) rather than internally. 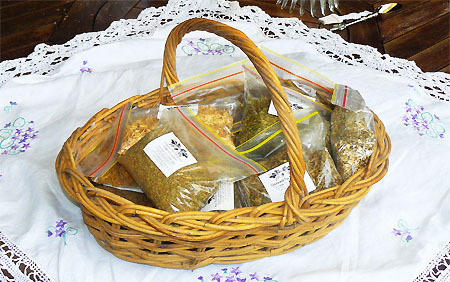 Over the millenia man has developed various techniques for extracting the beneficial properties of herbs for different applications and as a way of storing them for use when the fresh herb is not suitable or available. 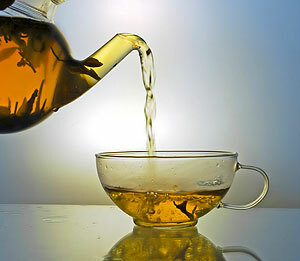 Decoction: A tea made from boiling plant material, usually the bark, rhizomes, roots or other woody parts, in water. 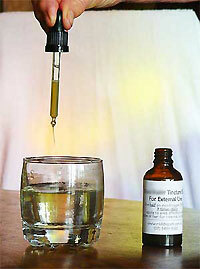 Infusion: A tea made by pouring water over plant material (dried or fresh), then allowed to soak or steep. The water is usually boiling, but cold infusions are also an option. An excellent way to use herbs therapeutically, as hot tea is an excellent way to administer herbs. what does a herb do? Medicinal Herbs have used for thousands of years and are well respected for their effectiveness in treating many diseases and conditions. Herbs are nature's pharmaceutical factories and make a huge variety of chemical compounds (phyto-chemicals) that are used to perform important biological functions, and to defend against attack from predators such as disease, insects, fungi and other predators. Many of these phytochemicals have beneficial effects on human health and vitality. In some cases we have included an exhaustive list of actions acknowledged by scientific investigation of a particular herb - as far as we could discover. For this we are indebted to Dr Jim Duke's Phytochemical and Ethnobotanical Databases available through the USDA. These lists are often huge and some of the actionss listed are there simply because science says they are associated with a constituent found to be present in samples of the herb. This does not mean that the potency of that action in that particular herb is optimal for treating a relevant condition. So in such cases we have divided the lists into 2 - actions which we recommend the herb for and actions which science acknowledges. Moreover you will find there is some descriptive overlap due to different terms being used by different scientists to describe much the same action. For example anticancer, anticarcinogenic, antileukemic, antimetastatic, antitumor, cancer-preventive and odontolytic are all terms scientists have used to describe a herb's ability to fight, prevent, remediate or even cure cancer. Naturally different herbs have different effects or actions, to discover the actions of a particular herb - visit the herb page which you can access on the list of plants. These are the ingredients found in a herb - the ones we are interested in are those which have a nutritional or healing contribution to make to the human being. Vitamins which we need to maintain vitality. 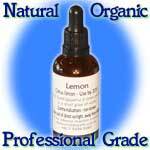 Minerals which we need to keep the body working properly. 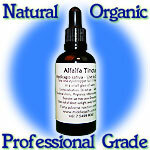 Phyto-chemicals which we need for certain specialised activities such as healing. In some cases we have chosen to list all the constituents that are known to science for a particular herb - as far as we could discover. 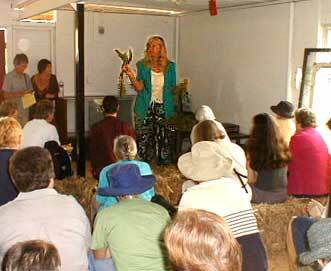 For this we are indebted to Dr Jim Duke's Phytochemical and Ethnobotanical Databases available through the USDA. 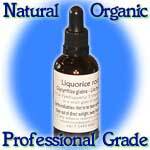 These lists are often exhaustive and some of the constituents listed are there simply because science says they are present in samples of the herb. Naturally different herbs have different constituents, to discover the actions of a particular herb - visit the herb page which you can access on the list of plants. Many of the herbs that grow at Middle Path have outstandingly potent health-giving benefits and we have made some available for you to buy online where we feel there is a crying need for these benefits in today's stress-laden lifestyle. 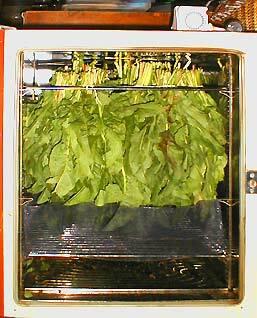 If you do not have fresh herbs nearby then dried material is the next best way to obtain their beneficial influence. How long will herb tea keep it's potency? Preparing an infusion is just like making a cup of tea but allowing more time for the water to absorb the herb's essence. When a herb tea contains tough, woody material such as bark, root or seeds a decoction is the recommended method for making your drink. Strain the mixture through a tea strainer into a wide-necked bottle, jug or cup, making sure to press on the material in the strainer with a spoon or similar to get as much of the liquid/decoction out of the herb as possible. Is it Safe for me to take a Herbal Tincture? If you are in any doubt about the possibility Herbal tincture causing complications with prescription drugs or a medical condition you may have please get in touch so that we can advise you on the suitability of a particular tincture. There are fewer concerns when using Herbal tincture externally and our many years of experience has shown that the tincture is just as effective being applied into the soles of the feet or applied topically on external conditions where they will be absorbed into your system. 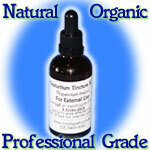 Herbal tincture is a potent liquid extract made from organic Herbal. It is a concentrated way of getting herbal medicine into your body easily especially applying them to the soles of your feet. Once a tincture is prepared, it has an extremely long shelf life. Tinctures should be kept in a cool, dark cupboard to maintain their potency. If you are on any prescribed medication we strongly advise you to use our free Herbal Tincture enquiry service to make sure that the medication and potent Herbal tincture are compatible. 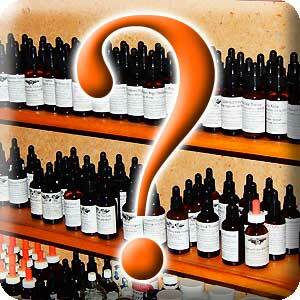 How do I prepare my Herbal Tincture? When should I drink my Herbal Tincture?